How Can I Recover Deleted iWork File on Mac? Ok, I have a problem about iWork application on my Mac. I deleted an iWork file mistakenly and I haven’t synced it to iCloud yet. It is a keynote that I need to use tomorrow. I have checked Trash too, but I didn’t find it there. I need your help to recover deleted iWork file. Do you have some good advices? iWork application is like Apple office software on Mac. You can easily create and edit keynote, pages and numbers with iWork application on your Mac. However, iWork files can still be lost because of OS fault, deletion, corruption or even virus infection. Normally you can recover iWork files from iCloud. If iCloud is helpless, you don’t have to be too worried too. There is still iWork file recovery software that can help you. 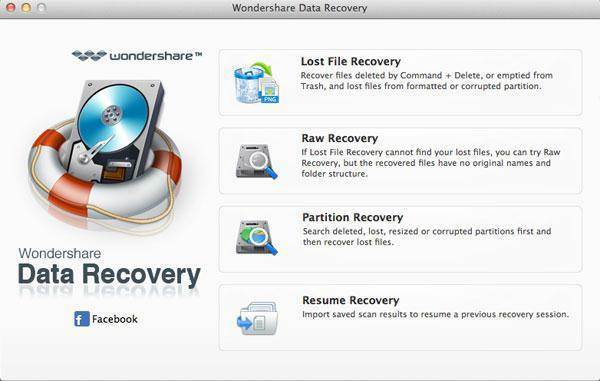 Wondershare Data Recovery for Mac is such a program that is able to recover iWork files lost due to accidental deletion, unintentional formatting of partition, and even system error. It recovers all file types in iWork application, including pages, keynote and numbers. Plus, this powerful application is compatible with iWork file recovery on all Mac computers, including Macbook, iMac, Macbook Air, Macbook Pro, etc. 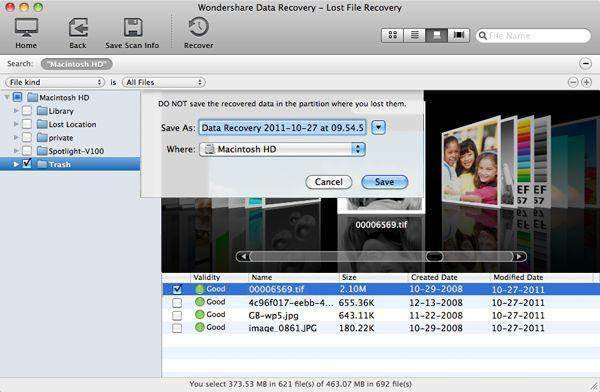 Download a trial version of Wondershare Data Recovery for Mac to recover deleted iWork files on Mac now! 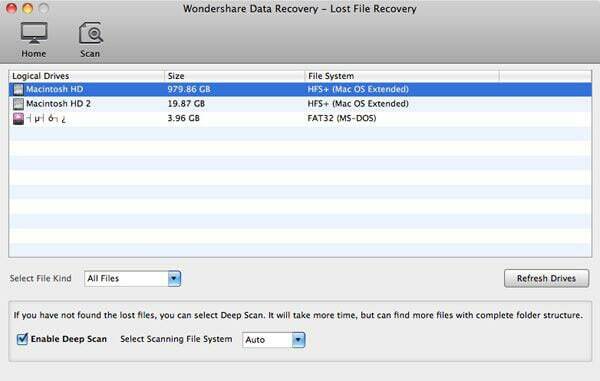 After launching Wondershare Data Recovery for Mac, you’ll see an interface as follow. You can learn each recovery mode works by reading instructions in the window. To recover deleted, formatted, lost or corrupted iWork files, you can take “Lost File Recovery” mode as a first try. Then the program will detect and show all volumes/partitions on your Mac. And you just need to select the one that you are going to recover deleted iWork files from and click “Scan” to search it. Note: You can “Enable Deep Scan” to recover iWork files from a formatted disk. When the scanning finishes, you can preview found iWork files to check whether your lost iWork files can be recovered or not. Then you can mark iWork files you’re going to restore and click “Recover” button to save them back to your Mac. Note: To avoid data overwritten, please do not save the recovered iWork files to their original partition.